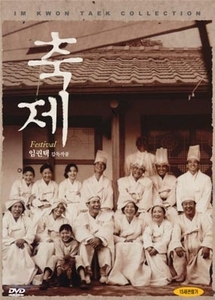 Lee Jun-Seob, a renowned writer in his forties, hurriedly goes to his hometown as soon as he gets a message that his old mother who has suffered Altzheimer disease for more than 5 years passed away. The death of 87-year-old grand mother gives different feeling to various people. In particular his sister-in-law, who has taken care of her senile mother-in-law feels light-hearted and sorrow at the same time. In the mean time Jang Hye-Rim, a reporter who came here to write an article to review his literal world through his mother's death, is busy on covering this and that of funeral service as an observer. Funeral service begins and the gap that arises from mother's death is getting deeper. As the service proceeds, however, Family troubles are solved slowly and Yong-Sun, who hates his uncle Jun-Seob due to his neglect of grand mother, sheds tears reading Jun-Seob's fairy tales. When the funeral service is over, each family members gets to keep the old grand mother's love and wisdom of life in his or her mind.